UK, April 24, 2017.- DOKA, one of the world’s leading companies for developing, manufacturing and distributing modern formwork systems, has published intelligent 3D components for some of their most popular wall and floor systems in Tekla Warehouse – online content and application ecosystem for Trimble’s Tekla Structures. 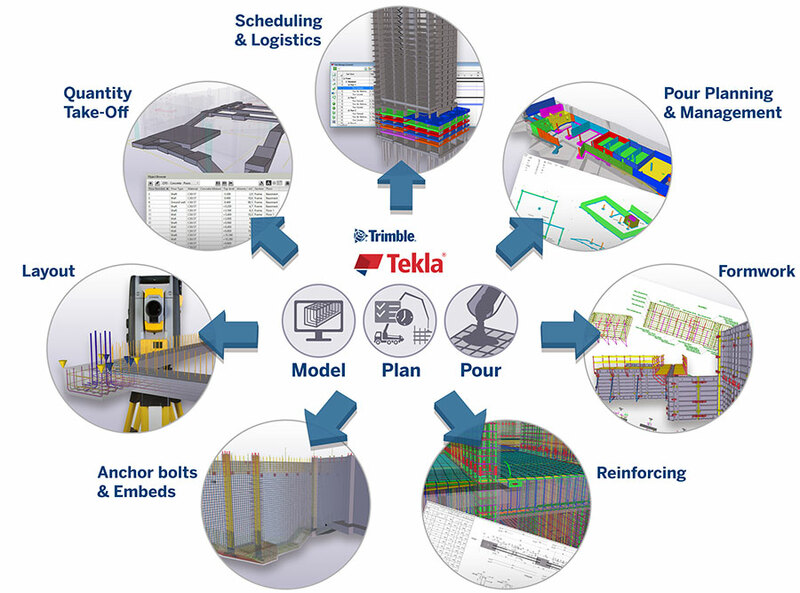 This development enables Doka’s customers, contractors planning and pouring concrete, to utilize the Tekla Structures Building Information Modeling (BIM) solution to manage formwork information more easily and enable success on-site. As leading solution providers in the concrete industry, Doka and Trimble, join forces to enable concrete contractors to better manage their project information. Concrete contractors using Tekla Structures can now download constructible 3D components for some of Doka’s most popular wall and floor systems directly into their project models via Trimble’s Tekla Warehouse. The availability of Doka components in Tekla Warehouse enable the customers of both companies to streamline the quantification, planning and management of their formwork operations. “We want to offer solutions and services to our customers to prepare and communicate all the knowledge needed for a successful project. By having our wall and floor systems easily available for users of software solutions like Tekla Structures, our customers can optimize the use of Doka formwork systems and help them ensure their success on site,” says Andreas Aflenzer, Head of Engineering Software Development at Doka. Tekla software from Trimble is proven to improve concrete construction productivity. Combining the solutions from industry-leading firms such as Doka with the unique technologies in Tekla Structures like the concrete pour concept, continue to raise the bar within the concrete industry.